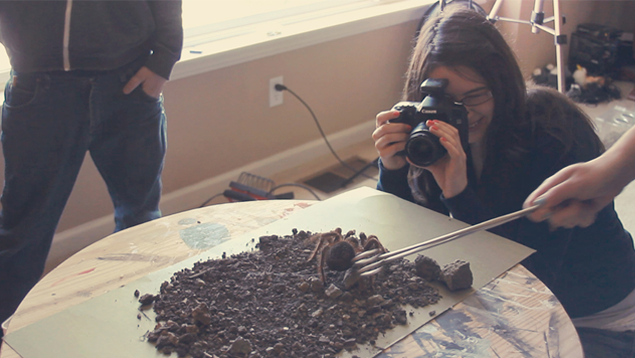 Watch this video to see the making of "Arachne"
I had a blast shooting with Faith Lucille, who drove to my studio so I could photograph her little creatures! I really enjoy photographing both people and animals, so I hope to do more collaborations in the future! Here I am gluing the skulls to tarp which has been laid over a stool and held down with sandbags. 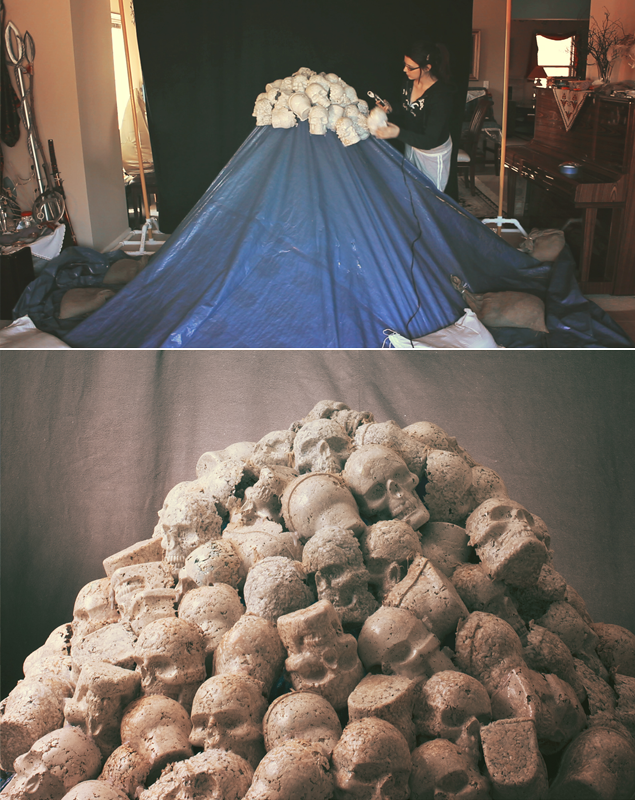 I was struggling to find a way to make a "pyramid" of skulls and thankfully my boyfriend came to the rescue with this idea! Here is a visual explanation of how I made the chains for "Arachne's Lair". When compositing, it is better to get the lighting and perspective right in camera than to photoshop it. (1) To mimic the chains resting on the spider's fangs I stacked two towels under a sheet that was similar in color to the spider. This way, the sheet won't reflect any intrusive colors onto the chain. (2) To make the chain look wrapped around the spider's leg I put a 5 gallon water bottle under a sheet and wrapped the chain around it. (3) To make the chain hang between the spider's legs I just held it at the same angle. Thank you for taking the time to read my journal These are some of my upcoming projects for 2014 that I'm super excited about! : Princess Peach, Ariel, Daenerys Targaryen, and Troll cosplay from World of Warcraft. To enter, all you have to do is comment and favorite Arachne's Curse, and add me to your watchers. 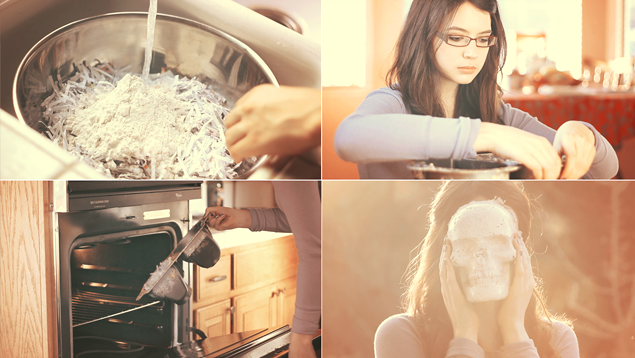 The PSD consists of all the layers, edits, and color adjustments done to this image. 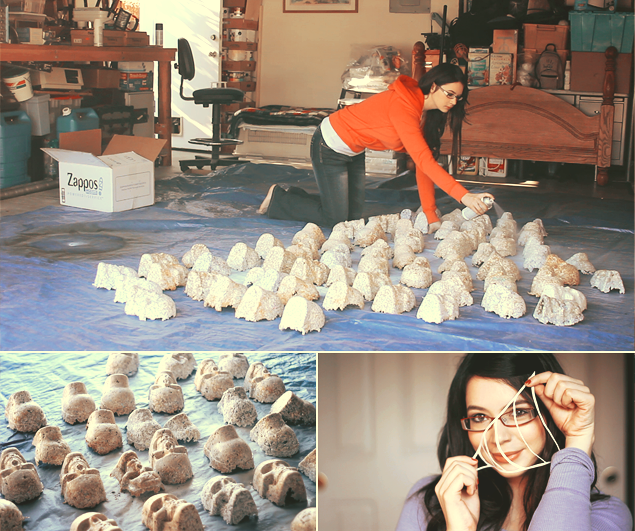 No one has been able to see my process- until now! The winner will be selected randomly, and announced on December 1st. Thanks for taking a look at my work and I'm glad you like it enough to favorite it.